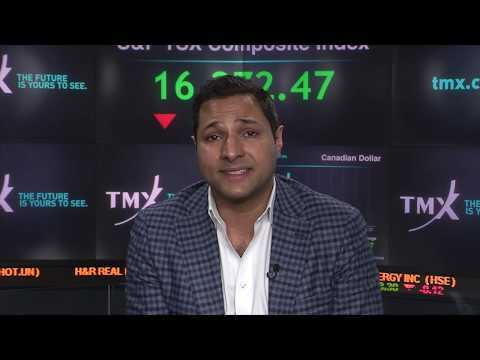 TORONTO, April 3, 2019 /CNW/ - Winners and nominees of the IR Magazine Awards - Canada, along with IR Magazine representatives, joined Michael Kousaie, Vice-President, Strategy and Product Innovation, Toronto Stock Exchange and TSX Venture Exchange, to close the market. For a quarter-century the IR Magazine Awards have honoured excellence and leadership in investor relations around the world. The IR awards were presented on April 3rd at The Ritz Carlton in Toronto.